This spring our school is beginning to plan for including students with ASD in general education classrooms. We have 10 students with ASD in kindergarten through fifth grade. Where do we start? If your school is just getting started with planning for inclusion, this principal’s search for guidance may resonate with you. Today’s post, excerpted and adapted from the excellent new inclusion guide It’s More Than “Just Being In” by Cheryl M. Jorgensen, provides you with ten steps to jumpstart your inclusion journey. Directly answering this principal’s question, Dr. Jorgensen offers practical, real-world steps that any school team can take to make their school more inclusive, both for students with ASD and learners with a wide range of other needs. Bring together a team that represents your key stakeholders and designate them as your inclusive education leadership team. Include a general education teacher from each grade level; all special education case managers; the SLP, OT, and PT who provide services to students; a couple of paraprofessionals; your reading specialist (or a Title I teacher); your building or district special education administrator; several parents; and at least one student with ASD. Develop a plan for keeping all parents of children with and without disabilities informed of your plans as they evolve. This might include giving a monthly update at a PTA meeting, holding information sessions for parents, and talking with the parents of the children with disabilities about the “why” and “how” of inclusive education. Identify a few key books, research articles, and videos that everyone on the leadership team will read and watch together. I would suggest the book You’re Going to Love This Kid! by Paula Kluth (2010), the videos Including Samuel (Habib, 2007) and We Thought You’d Never Ask (Hussman, 2008) and a manual I wrote for the National Education Association called Including Students with Autism (Jorgensen, 2014). There is no substitute for seeing inclusion in action. Contact a local school in which all students are included in general education and resources from general and special education and Title I are deployed to support all students’ academic and behavioral success. The SWIFT Center has a lot of great resources on their website as well. If you have students who use AAC, then workshops on that topic for those students’ teams would be important as well. Look for online webinars or conferences (e.g., an annual conference sponsored by the PEAK Parent Center, or workshops offered by TASH). Give each student’s team a couple of days of planning time during the summer to get a head start on instructional planning. It will help all the students start the year off positively if the team feels as if they can “hit the ground running” with a couple of weeks’ worth of materials and other supports already planned. Write each student’s IEP so that his or her goals and objectives are aligned with your state’s learning standards and special education and related services are delivered primarily within the context of general education instruction in the general education classroom. Create your staffing schedule to maximize the time that special education teachers and related services providers are in general education classrooms co-teaching whole group lessons, working with small groups, or providing side-by-side support to individual students. Suggest that each student’s parents host at least one summer get-together for a few children who will be in their child’s classroom. A low-key playdate in the backyard with one structured group activity goes a long way to help children feel as if they are part of the group even before the new school year begins. The first few weeks and months will be filled with challenges and daily questions from staff, so be sure that you are a daily presence in those classrooms providing leadership, encouragement, and tangible supports so that everyone can have a successful year. Together, these ten steps will help you welcome and include all learners in age-appropriate general education classes. Is there anything you’d add to this list? 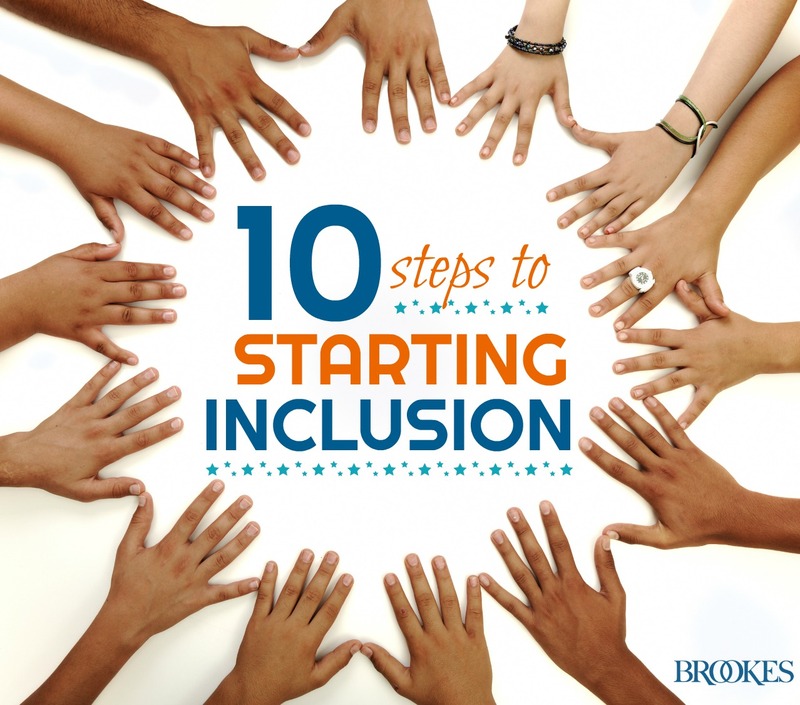 Any critical step toward inclusion that needs to be included in this quick-guide to getting started? Add your thoughts in the comments below and share your wisdom with fellow educators! Read our inclusion Q&As with authors Paula Kluth and Whitney Rapp.